Christmas came early at Birmingham's Symphony Hall with Katie Melua's concert with the Gori Women's Choir which saw performances of carols, covers and classics. Two years ago, Georgian-born Melua teamed up with the choir from her native country to release In Winter, an album of folk and Christmas songs sung in a variety of languages. This year they've released In Winter: Special Edition, an expanded version of this album – and are back on tour. 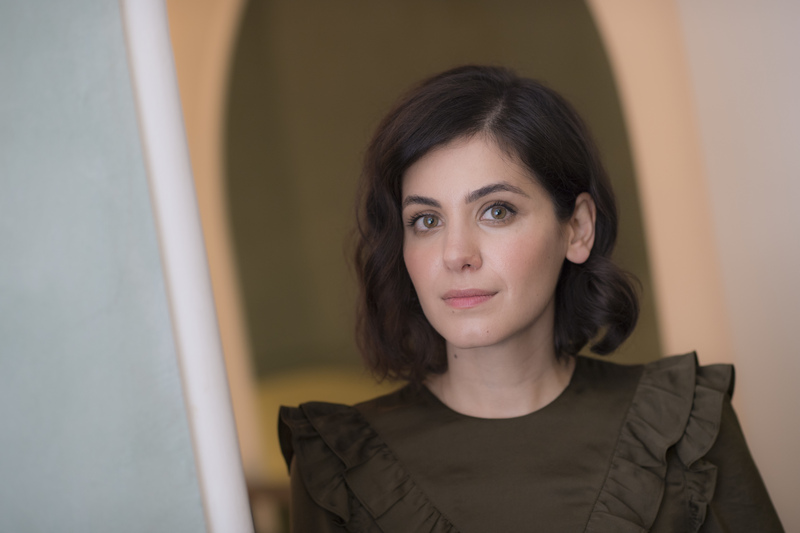 The Birmingham concert saw Melua swapping and changing, sometimes singing alone, sometimes with the choir, sometimes with members of a backing band. But what came clearly through all of them is not only Melua's beautiful voice but also her ability to adapt it to so many different types of song. Beginning with a solo performance of 'You're So Beautiful', Melua went on to mix the expected with the unexpected. She knows how to be a crowd-pleaser so fans will have been delighted to hear plenty of her hits including 'Closest Thing to Crazy', 'Nine Million Bicycles', 'The Flood', 'I Cried for You' and 'Piece by Piece'. Together with the Gori Women's Choir, she also included festive favourites with the spine-tingling carol 'O Holy Night' and 'The Little Swallow' which was sung without musical accompaniment, depending solely on the harmonies created from the women's voices. Always keen to put her own touch to other people's classics Melua also treated the audience to a host of cover versions including Shirley Bassey's Bond theme 'Diamonds are Forever', The Cure's 'Just Like Heaven', Sting's 'Fields of Gold', Joni Mitchell's 'River', Black's 'Wonderful Life' and Louis Armstrong's 'It's a Wonderful World'. All were performed against a backdrop showing graphics, largely of suitably wintry scenes including snowflakes, snow-covered landscapes, birds and animals but also sometimes telling stories or featuring underwater or springtime imagery.